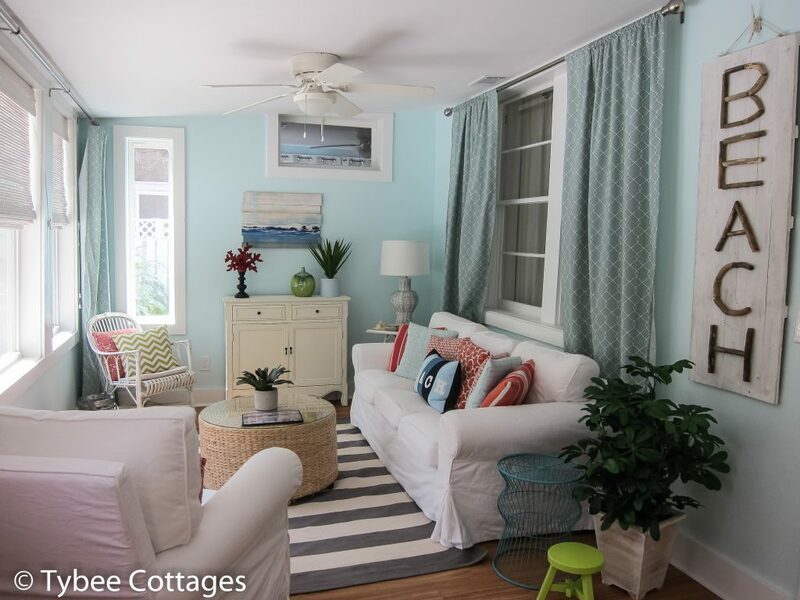 Coral Cottage on Tybee Island is the quintessential vacation rental on Tybee Island. The new pool, with relaxing waterfall feature, will have you craving some Coral Cottage cool by the pool after beach days during your stay. 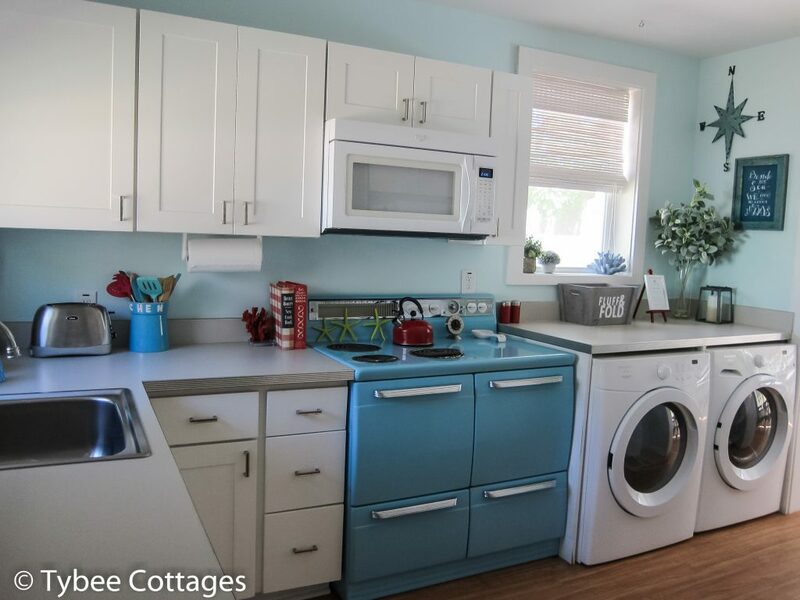 From turquoise appliances to coral bedding all the details for a classic beach cottage have been attended to with passion. Of course, the recent Jane Coslick renovation is within a nice walk to the beach on Second Ave right next to the Tybee Island Memorial Park. 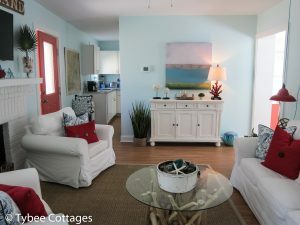 Accordingly, there is nothing superficial about the Coral Cottage as the rental is equipped with every comfort from home. 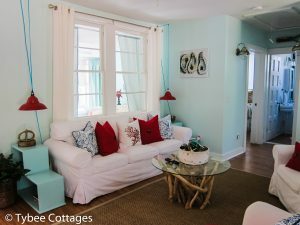 Coral Cottage will make your family or group want to visit every Summer due to its whimsical design, location, and ability to make you feel at home away from home. 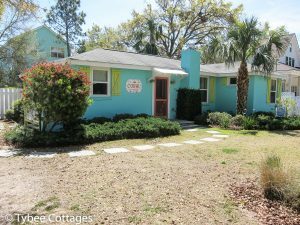 Well Felicia, the new owner’s of Coral Cottage answered your question by adding the new 11′ by 23′ Roman ended pool in February of this year. The new saltwater pool is equipped with a relaxing waterfall feature ideally suited for cooling of from the Summer heat. The new 6 ft all encompassing fence provides privacy for you and your family while enjoying the backyard area. Furthermore, the new concrete deck around the pool is equipped with a sitting area and outdoor dining furniture. 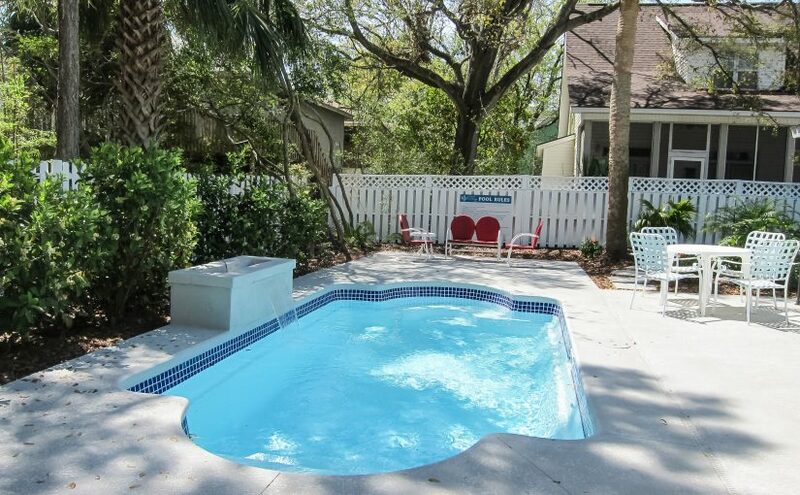 This area is perfect for picnics around the pool for lunch, and meals cooked on the provided gas grill for dinner. 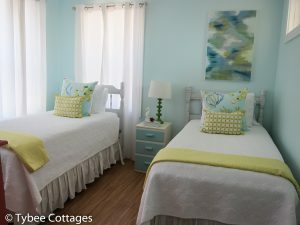 The Coral Cottage is equipped with all the amenities of home. 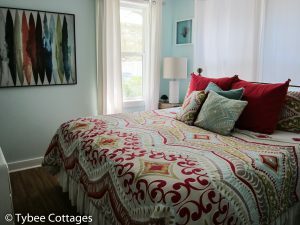 As one recent guest stated, “The layout is wonderful for cooking, sharing a meal, or just relaxing. 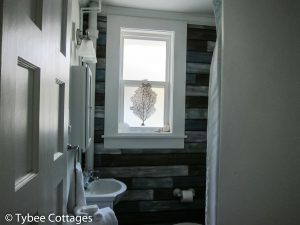 Our favorite amenities included reliable wi-fi, washer/dryer, the additional outdoor shower, and the beautiful restored stove.” With that being noted, we have found through reviews that guests love the convenience of the outdoor shower (shown below). 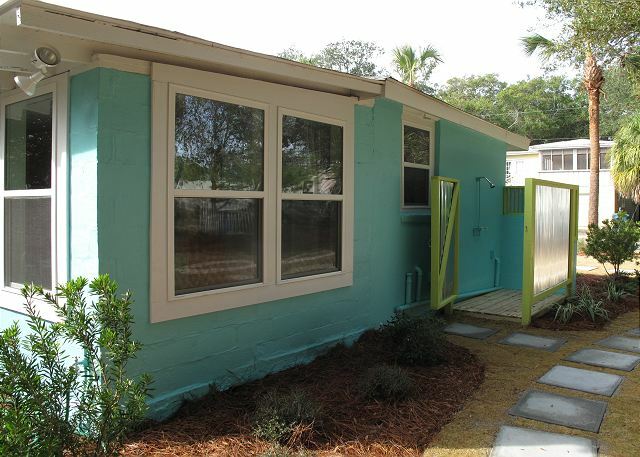 Ideally located in the Mid Beach area of Tybee Island. 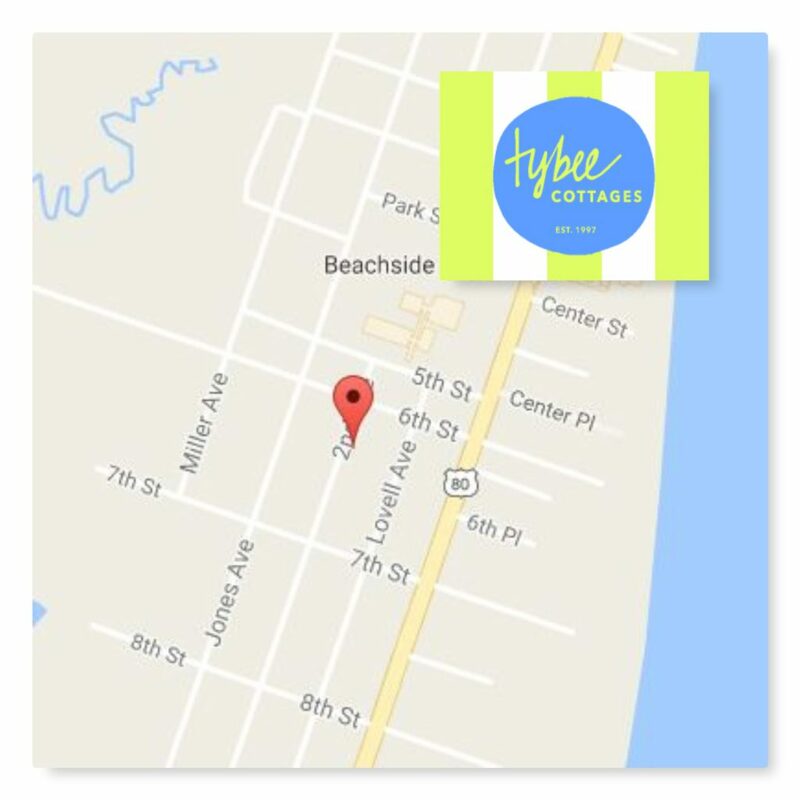 Also, located along the Tybee Island bike trail makes for easy transportation while inhabiting the island. Memorial park and the YMCA are less than a block away, the IGA grocery store is less than a mile away, and of course did we mention the beach! 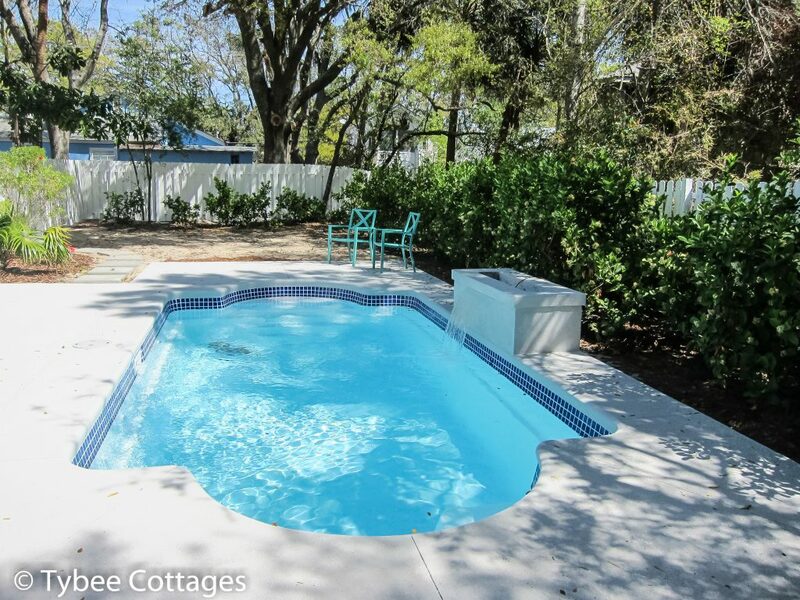 All in all, adding a new pool to the Coral Cottage coupled with its existing whimsical design, and ideal location makes it hard to beat as one of the best places to stay during your vacation on Tybee. Please enjoy the gallery below, and don’t miss your chance to book for 2017 – Availability is limited to a first come first serve basis. 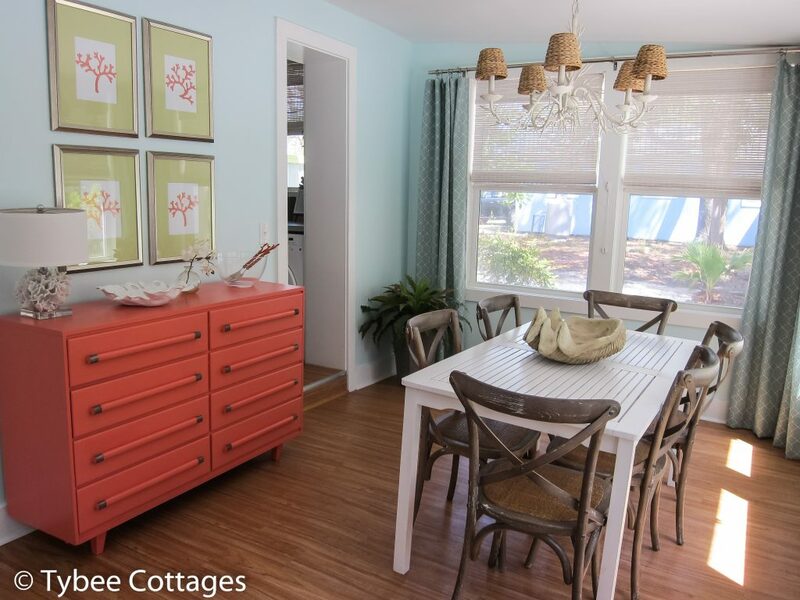 Coral Cottage – Dining Room Table with Coral Buffet and Chandelier. Coral Cottage – Living room couch with metal suspended lamps.